Why did we have to get up so early, our small group bleated when we saw that our visits to breweries in Hiroshima in January had us needing to be at the brewery no later than 9am? The brewery staff would have scoffed at the idea that getting up at 7 am was early because they’d already be washed, dressed and eating their breakfast in order to be ready for this vital stage in the sake-making process. Time was when the Kamaya would get up at 3am to stoke the boiler, so rising at 6am to switch on the heater is almost a lie-in for him. 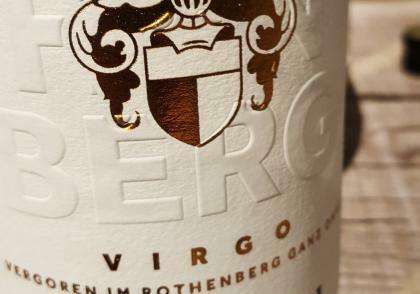 At first glance, the name Virgo Project sounds more like a new Bond film than an intriguing wine story, but Johannes Hasselbach, the enthusiastic young German gun now running the Gunderloch estate in Rheinhessen, has adopted the name for an unusual vineyard experiment. In his own words, he is ‘pushing the boundaries of minimal intervention winemaking by literally creating wines “within” the soils of the famous Rothenberg vineyard, using buried sealed amphorae as fermentation vessels’. Look away now if you’re allergic to statistics because there’s a danger that the OIV’s 2015 statistical report on World Vitiviniculture will send you into a deep slumber the like of which you may not have enjoyed since that TV documentary on Katy Perry. Come to think of it, this deconstruction of the latest production and consumption figures for vines, grapes and wine could be the answer to the insomniac’s prayer. For wine geeks like me however, and perhaps even a few of our readers, the report of the International Organisation of Wine and Vine makes compelling reading. In the beginning there was Vinoteca, then along came Terroirs and its offshoots, Soif and Brawn, soon followed hot on their heels by Sager + Wilde, Les Deux Salons, the 28-50 group, The Remedy, 8 Hoxton Square,10 Cases Cave à Vin and Compagnie des Vins Surnaturels. And I haven’t even mentioned London’s burgeoning tapas bar scene. Need I go on? Well yes, actually. Noble Rot is the current darling of the winebarista set, and Jane and David have unselfishly visited it on your behalf (see http://www.thewinegang.com/blog/londons-newest-wine-bar). In late August, in the grand surroundings of Wiesbaden’s Kurhaus Kolonnaden, Germany’s VDP held its annual ‘sneak preview’ of the 2014 dry whites and 2013 reds from grand cru sites, known in Germany as Grosses Gewächs. 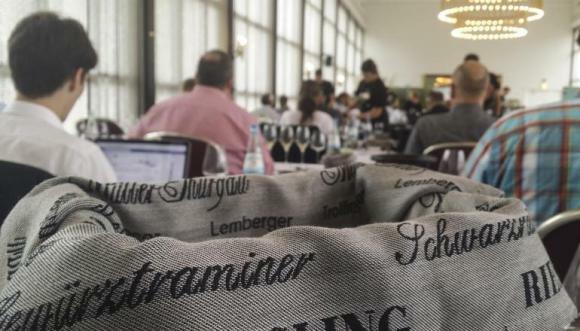 It’s a brilliantly organised tasting that’s attended by just about every wine critic that knows and loves his or her dry Rieslings - and not just their Rieslings as we shall see - both from within Germany and from further afield. Earlier this summer, I was invited to taste the first ever bottling of Scillonian wine from England’s most southerly vineyards. The first vintage of Robert Francis’s Holy Vale wines grown and made on the Isles of Scilly was to be bottled by the Austrian sweet wine meister Willi Opitz. If the connection seems a little tenuous, Robert Francis had been buying Opitz’ wines for his hotel wine list at The Star Castle for 20 years and Willi had hosted a few wine dinners there. When he discovered that Robert had made wine, he offered to help with the bottling. Let’s raise a glass to the fact that at the 39th session of the World Heritage Committee in Bonn earlier this month, Champagne and Burgundy were voted onto the official list of Unesco World Heritage sites. Two glasses in fact, one of Cristal and the other of Domaine de la Romanée-Conti, whose Aubert de Villaine was instrumental in obtaining the enhanced status for Burgundy. Thanks to an unfortunate flood in my cellar caused by water seeping in from a neighbouring property, the damage to the labels and wooden cases of the 2005 clarets I bought en primeur meant that they would be reduced by some 25% in value if I were to sell them. 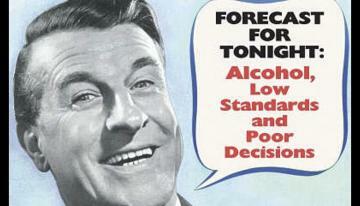 I received unofficial advice to that effect from no less an authority than Bonhams, the auctioneers.